The Eastern Conference Finals has been set for almost a week now but has fallen on the back burner with the thriller of a series between the Sharks and Red Wings taking the majority of the headlines. 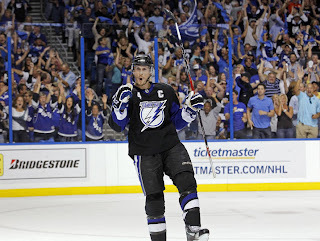 But with that series done, the NHL fan base can look forward to the Conference Finals, in the east the Tampa Bay Lightning will face off against the Boston Bruins. The Lightning are coming out of a series where they swept the east's top seeded Washington Capitals, making it look easy while doing it. 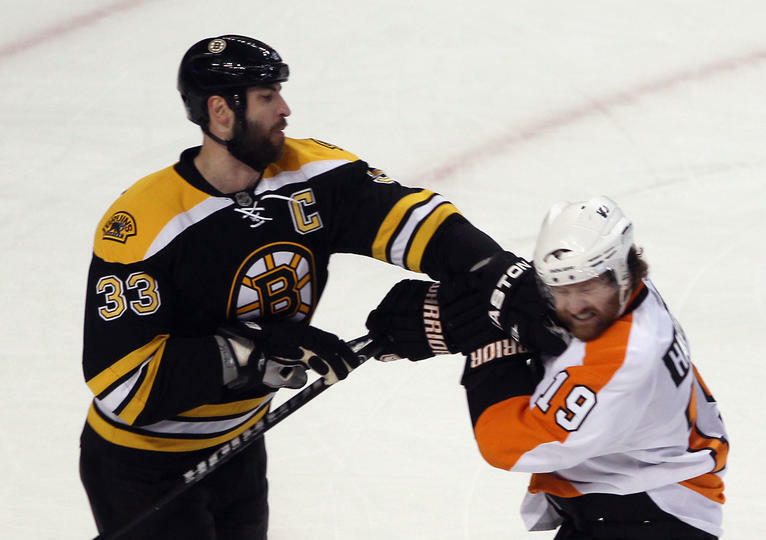 On the other hand, the Bruins swept their Conference Semifinal match up against the Philadelphia Flyers as well. One can say both of these teams will not be lacking any rest when it comes time for puck drop on Saturday, May 14th in Boston. The series puts to very similar teams against one another, very fast paced teams with strong goal-tending. Both Lightning goalie Dwayne Roloson and Bruin goaltender Tim Thomas can steal a game for their team when playing at their best. Roloson pulled the Lightning out of some tough spots against the Capitals, allowing only 10 goals on 133 shots on net, while being 6-0 in elimination games in his career, can you say clutch. In the other crease is Vezina candidate Tim Thomas, who will win this years award for top goalie, and made easy work of the Flyers in four games allowing only one goal in two of the four games and seven through out the entire series. Watch for several SportsCenter Top 10 worthy saves through out this series. A key component that will decide the outcome of this series will be how Zdeno Chara handles the speedy top line of Steven Stamkos, Martin St. Louis, and Vincent Lecavalier of the Lightning. If the big man for the Bruins is able to keep the big three of the Lightning at bay the series may swing in favor of the Bruins. With those three under pressure from Chara the Lightning would have to rely heavily on secondary scoring, which has been there in Sean Bergenheim and Steve Downie, but one can't imagine they would be as successful against Thomas as they were against the Capitals young net minder. Where I think the series will be decided is special teams, the Bruins power play is down right horrible producing only 5% of the time through out the post season, thats scoring twice on 37 opportunities. While, the Lighting have scored on 27% of their chances, 12 of 45 opportunities. Look for Tampa Bays' penalty kill unit who has only allowed three goals after being shorthanded 54 times to completely shut down the Bruins' stagnant power play, and capitalize on several pivotal power plays through out the series. Dwayne Roloson will out duel Tim Thomas, and the Lighting will once again gain a big lift from the teams secondary scoring when the big three are smothered by Chara's long reach. Lighting in 7.